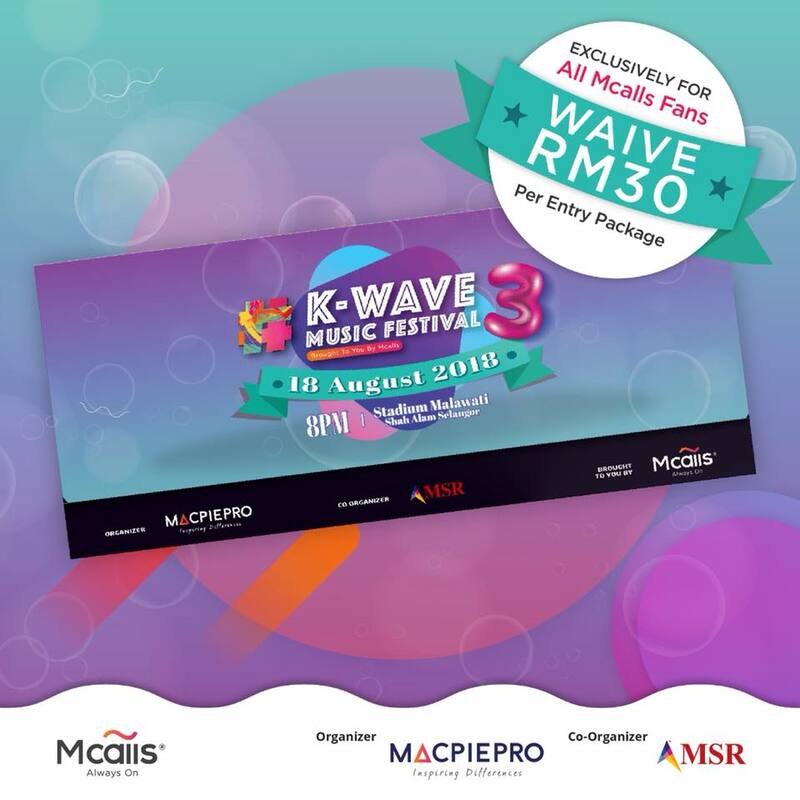 GOKPOP | Exclusive K-News in Malaysia & Singapore: K-WAVE 3 Music Festival Ticket Price from RM34! Mcalls Fans Priority Sales on 29th June, Public Sales on 1 July! 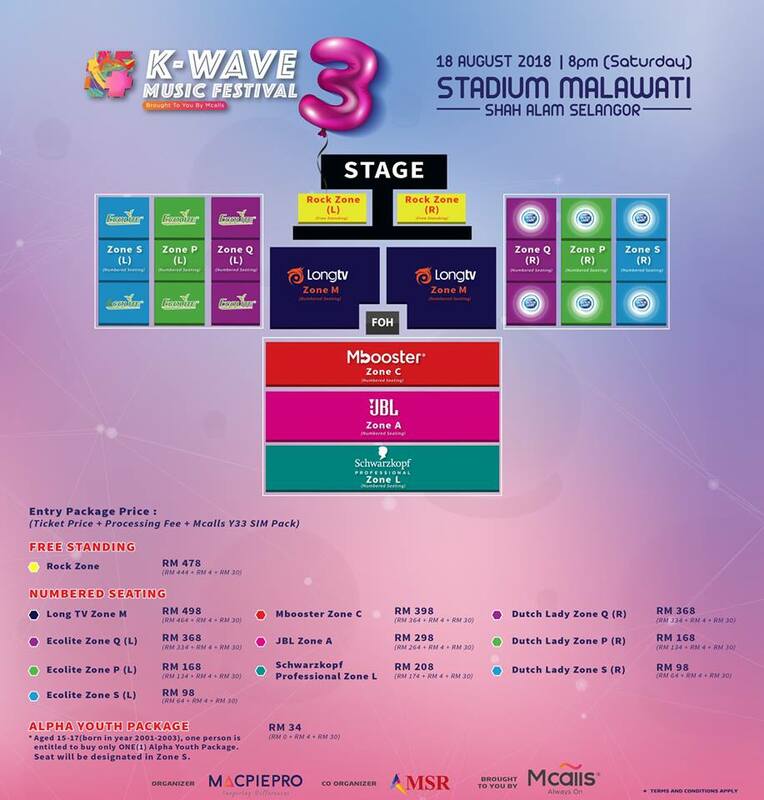 K-WAVE 3 Music Festival Ticket Price from RM34! Mcalls Fans Priority Sales on 29th June, Public Sales on 1 July! Organised by MacpiePro and co-organised by MSR, K-WAVE 3 Music Festival Brought To You By Mcalls returns in just after 7 months! FTISLAND, EXID, MONSTA X, AOA, JEONG SEWOON, WJSN and BOYFRIEND are bringing the wave to Stadium Malawati, Shah Alam on 18th August 2018 from 8pm! Access to the festival comes in an Entry Package (Concert Ticket + Processing Fee + Mcalls Y33 SIM Pack) with prices ranging from RM34 to RM498. Mcalls fans get to enjoy 2-days PRIORITY to purchase their Entry Package on 29th and 30th June while public sales begin 1st of July at 12pm. ALL Entry Packages are available through www.mcalls.asia/kwave3. 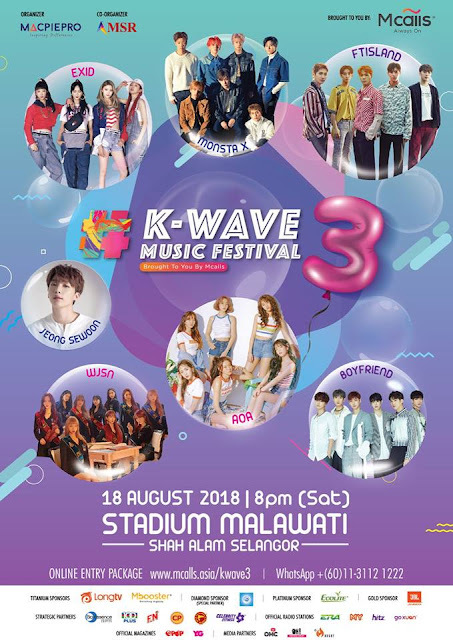 For more info on K-WAVE 3 Music Festival Brought To You By Mcalls, check out MacpiePro on Facebook @MacpiePro or its official website www.macpiepro.com. Check out their tutorial on how to purchase the tickets online HERE!